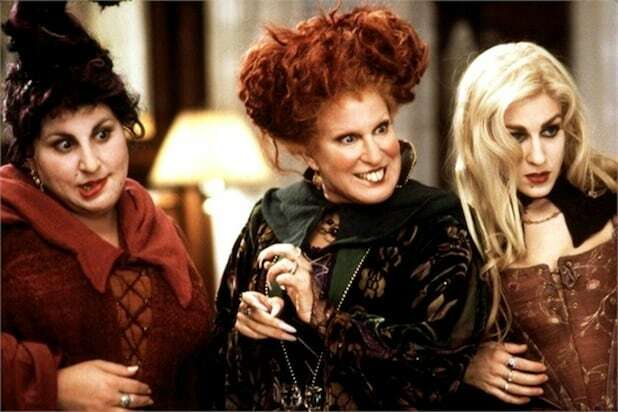 'Hocus Pocus' (1993)Despite being rated PG, "Hocus Pocus" is a classic, iconic Halloween movie, and its cult status has only gained in the 20 years since its release. 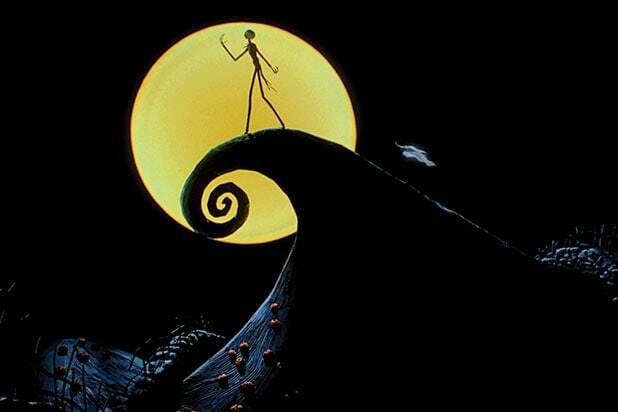 'The Nightmare Before Christmas' (1993)Is it a Halloween movie? A Christmas movie? Nobody knows, but the good thing about this Tim Burton classic is that it can be relied upon all throughout the holiday season. 'It's the Great Pumpkin, Charlie Brown' (1966)You can mark the changing of the seasons by the classic Peanuts cartoons that celebrates all the major holidays. Halloween is a big one, along with "A Charlie Brown Thanksgiving" and "A Charlie Brown Christmas." 'Ghostbusters' (2016)This remake of the 1980s classic has a phenomenal comedic cast of funny ladies, and luckily, this is modern reboot that didn't go the "dark and grounded" route, making it a fun Halloween adventure, even for kids born with a smartphone in their hands. 'Casper' (1995)A family-friendly coming of age tale and a fun, spooky adventure all in one. 'Beetlejuice' (1988)Michael Keaton plays a mischievous spirit intent on causing chaos, go ahead and say his name three times and he'll bring plenty of fun -- but nothing too scary. 'Coraline' (2009)This claymation adaptation of Neil Gaiman's classic novella follows a girl who discovers an alternate world that's just this side of creepy ... but not too scary. 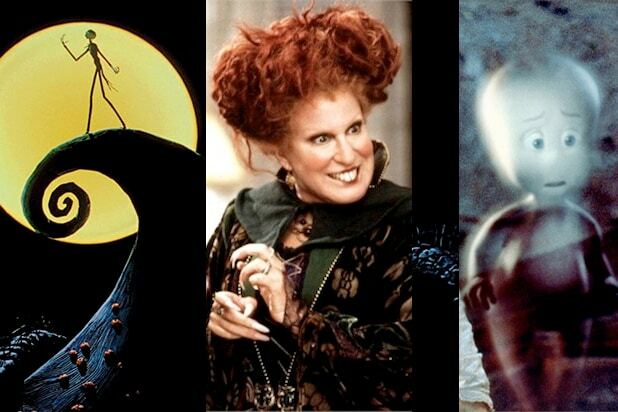 'Harry Potter' seriesDoes Halloween even exist in the world of Hogwarts? No matter, because this fantasy epic has spawned millions of costumed fans. And since there's eight movies, it's the perfect marathon binge for Halloween weekend. 'The Addams Family' (1991)This quirky, morbid family comedy should be buckets of fun for your Halloween family movie night. 'The Halloween Tree' (1993)Ray Bradbury narrates this adaptation of his own book of the same name, and it's an Emmy-winning Halloween romp that's also a history lesson about the origins of the holiday. 'Garfield's Halloween Adventure' (1985)Garfield tricking Odie into giving him all his candy is about as scary as this pirate-themed ghost story gets, but it did win the Emmy for Outstanding Animated Program. 'Something Wicked This Way Comes' (1983)Carnivals are pretty much never not-scary, but this adaptation of Ray Bradbury's novel is just the appropriate amount of scary. ‘The Monster Squad’ (1987) When vampires, mummies, werewolves and Frankenstein invade your town, who are you gonna call? Not Ghostbusters, in this case. This Halloween flick features a charming group of brave youngsters ready to fend their town off from a supernatural takeover. ‘Goosebumps’ (2015) A film adaptation of R.L. Stine’s best-selling horror novels, this movie stars Jack Black as Stine himself and delivers as many laughs as thrills. ‘Hotel Transylvania’ (2012) Vampiric or not, family is family. This hilarious 2012 picture, along with the rest in the franchise, focuses on wholesome themes like love, community and acceptance. ‘ParaNorman’ (2012)Though he sees dead people, Norman’s relationship with ghosts is much more wholesome and friendlier than that of Cole Sear’s from "The Sixth Sense." Eleven-year-old Norman, played by Kodi Smit-McPhee, teams up with his friends and family to ward off an incoming raid by the living dead. ‘The House With a Clock in Its Walls’ (2018) Based on John Bellair’s 1973 novel, the star-studded film rendition follows young Lewis Barnavelt, played by “Room” star Owen Vaccaro, as he unravels the secrets of his uncle’s ticking house. Both new and seasoned Hollywood talent come together to make for movie magic everyone can enjoy.